American Crafts Shimelle FLOCKED WITH ROSE GOLD FOIL Starry Night 12x12 Inch Cardstock Head in the Clouds 349472 at Simon Says STAMP! Success, American Crafts Shimelle FLOCKED WITH ROSE GOLD FOIL Starry Night 12x12 Inch Cardstock Head in the Clouds 349472 has been shared! 12x12 inch sheet of specialty cardstock that is flocked with rose gold foil. 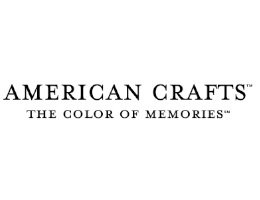 American Crafts is the leading source for colorful and stylish crafting supplies. The American Craft brand strives to produce innovative, well-designed products for scrapbooking, memory keeping and paper crafting. American Crafts offers a wide selection of high-quality items, including cardstock, stickers, albums, ribbon, embellishments and craft tools. Each brand of the American Crafts family - American Crafts, Pebbles, Crate Paper, Studio Calico, Becky Higgins Project Life, Imaginisce, Bazzill, Pink Paislee and Heidi Swapp - maintains a distinctive style, ensuring a wide range of designer collections. A commitment to style and quality ensures we provide our customers with top products at competitive prices.